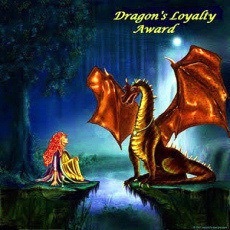 thanks to my friend shrewed up for giving me the dragon loyalty award. What is The Dragon’s Loyalty Award? The Dragon’s Loyalty Award is an award for the loyal follower/commenter/fan, whether the recipient is a fellow blogger or a blog-free someone who follows and comments regularly. i have tens of thousands of baseball cards. I am writing a book aimed at the supporter of depression using my and your experiences to help us get better support. 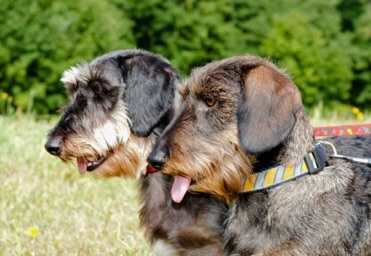 i’ve got the two coolest dogs in the world! This entry was posted in depression on 2015/07/30 by bipolarsojourner. introduction: this is a post in a series exploring the purpose of different emotions. the movie inside out laid out the idea, along wit scientific backing, that all emotions have a purpose. I take it a step further by saying that until the purpose of the emotion is fulfilled, the emotion of the situation will continue to exhort power. For example, if someone treats you unfairly, you are likely to feel angry. Until the purpose of the anger, fairness, is fulfilled, there will be little chance for you to completely move beyond the anger you experienced. I was trying to work on my book the other day. the key word was trying. try as i may, i could not motivate myself to form a single word for my book. Forming words towards other endeavors, such as blog post and replies flowed easily, but words for the book remained damned. i reached a point of great frustration; why could i string words together for everything but my book? This entry was posted in emotions and tagged emotion, feedback, frustration, goal, purpose, reason, result on 2015/07/29 by bipolarsojourner. Emotional validation is something we all seek and crave far more than we realize. When we are upset, angry, frustrated, disappointed or hurt, our tendency is to want to discuss our feelings with others so we can get it off our chest. However, getting things off our chest by telling others about our feelings is not always satisfying or cathartic. If the person to whom we vent simply looks at us and shrugs or responds by giving us advice or by telling us what we did wrong, we won’t feel any better and we will probably feel worse after speaking with them. i continue to sing the praises of the pixar movie, inside out. i have made so many fruitful discoveries since i saw the movie. it has been a powerful and learning process for me since seeing the movie. for those of you who don’t know, inside out is about the emotions living inside the head of an eleven year old and how those responses color her world. i still shake my head in amazement that a supposed “kids” movie could do such and excellent treatment of emotions and emotional responses. This entry was posted in acceptance, depression, emotions, mindfullnes, recovery, suggestions, support and tagged affirmation, attending to, befriending and surrendering, contextualization, dark emotions, despair, emotion-phobia, emotions, fear, grief, inside out, intention, Miriam Greenspan, purpose, purpose off despair, sensation, the way of action, the way of non-action, the way of surrender on 2015/07/23 by bipolarsojourner. recall, in the first episode, I found two articles on empathy and planned to write some awesome, uplifting post. sorry, that ain’t goin’ happen. don’t blame me, blame the material. This entry was posted in acknowledgement, emotions and tagged acknowledgment based support, empathy, hope, power, solution based support on 2015/07/22 by bipolarsojourner. I felt excited this weekend when i saw two headlines discussing empathy. i thought, cool! i’ll be able to produce some earth shattering, completely up-lifting post on empathy. it ain’t going to happen. don’t blame me, blame the material. This entry was posted in emotions and tagged compassion, corporate empathy, empathy, the science of empathy on 2015/07/21 by bipolarsojourner. i put myself on a word diet so I can get this out in a little more timely manner. check out the precursor to this. saturday- strangely excited about bar-b-que tonight. This entry was posted in depression, excitment, fun and tagged alma mater, bar-b-que, bubbles, Depression, excitement, jason, kayaks, Mary, ribs, sheri, tri-tip on 2015/07/20 by bipolarsojourner.